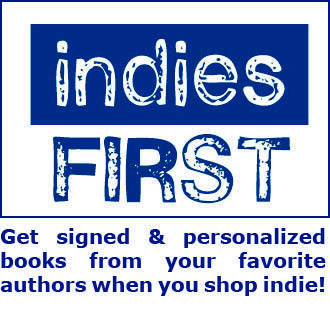 You know you can buy books anywhere, so why shop at Greenlight? For every $100 you spend at an independently owned business, $68 will stay in the community. Did you know that when you spend the same amount at a national chain, only $43 stays in the community? Local businesses like Greenlight employ local people - they hire people who could be your neighbors, which pumps money directly back into the immediate surroundings, and keeps your tax dollars local. All this makes an independently owned business a part of the fabric of your community, helping to make the neighborhood more interesting and unique – buying at local businesses ensures a strong and vibrant community. Buying from local businesses also cuts down on the environmental costs of packaging and shipping, lowering our collective carbon footprint. While all that is incredibly important, we ultimately hope that you choose to shop with us because -- well, because you like us. As consumers we have the luxury of choosing where we spend our money, and isn't it important to spend your time and money with businesses that you enjoy and value? As with most independent bookstores, here at Greenlight we work hard to hand pick the books we stock, and we strive to curate our selection for you to shop and browse through. We're constantly working on improving our systems, our selection, the store space, our events programming, and our relationships in the community, and we hope that it shows. We are your neighbors, and we hope, your friends, and we are passionate about what we do. We've added this ecommerce website to our offerings to make it even easier for you to shop at Greenlight. All of the reasons above apply whether you stop in to our store or log on to our website. The advantage of the web is that you can shop any time of the day or night. When you shop local on the web, that means you can stop by the store when it's convenient to pick up your order, rather than having to arrange shipping. Of course, we can also ship anywhere in the country, and we're delighted to extend the Greenlight experience to anyone, anywhere in the U.S. Thanks for thinking about where you spend your book dollars. We hope to see you soon, in the store or on the web!